Little mayflower beer cap by Matt. 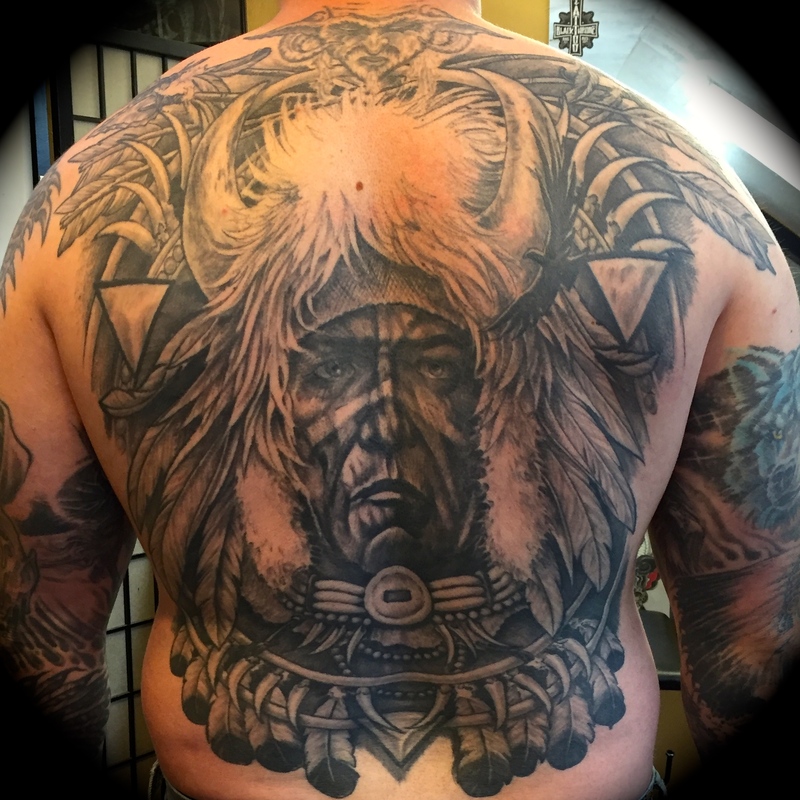 Matt has time available this month, give the shop a call and set something up. 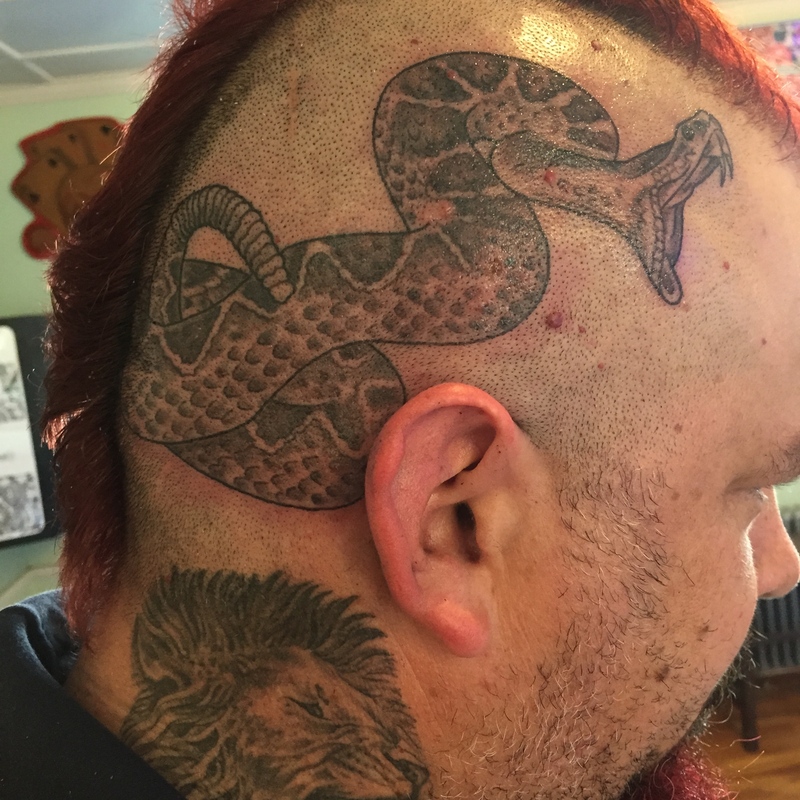 Rattlesnake on Mark’s head by Ryan McNamara.